Top of the Line Automatic CPAP by Apex Medical. Great for Home and Travel Use. One of the smallest footprint machine on the market. Apex Medical iCH II Auto is an excellent machine for effective sleep apnea treatment. It is also easy for travel with heated humidifier and has a modern sleek look for your bedroom! 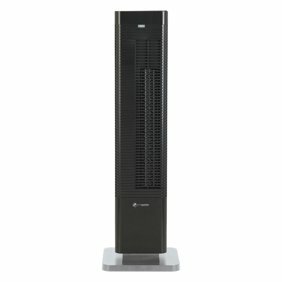 One of the smallest and lightest unit on the market including heated humidifier. Not your average machine! The iCH II Auto has the Newest Technology with a Modern Look! Super Compact and Lightweight. Dimensions is only 6.5&quot; x 7.8&quot; x 6.9&quot; (W x D x H) and Weight is only 2.5 lb. Perfect for permanent home and travel use. It is the most compact and lightest system with APAP and Heated Humidifier togther. Clinical effective auto-titration technology. The iCH II Auto is an ultra-quiet APAP (automatic CPAP). It will automatically find the correct therapy pressure and fully open up the airway. Universal Power Supply: works with 100 – 240 V and 50 – 60 Hz. Effective Built-In Humidifier System with Anti Back-Flow Design. PVA pressure relief at exhalation makes therapy feel more natural. Other features include Built-In Alarm Clock, Leak Compensation, Auto Altitude Adjust, and one of the smallest footprint. It saves about 50% of space on the night stand than most machines! Pressure Range: 4 - 20 cm H2O. Product includes APAP unit, Travel Bag, CPAP Hose, SD Card, USB cable, Manual, Power Supply. Technical Support: If you purchase from Neuroscience Medical, we have highly experienced technical reps, who would provide you with free help on machine set up and therapy questions by email or over the phone. Other vendors on this listing don't provide this service. We reserve our free technical services to support our customers only. Manufacturer warranty is 2 years. Top of the Line Automatic CPAP by Apex Medical. Great for Home and Travel Use. One of the smallest footprint machine on the market. Apex Medical iCH II Auto is an excellent machine for effective sleep apnea treatment. It is also easy for travel with heated humidifier and has a modern sleek look for your bedroom! One of the smallest and lightest unit on the market including heated humidifier. Not your average machine! The iCH II Auto has the Newest Technology with a Modern Look! Super Compact and Lightweight. Dimensions is only 6.5" x 7.8" x 6.9" (W x D x H) and Weight is only 2.5 lb. Perfect for permanent home and travel use. It is the most compact and lightest system with APAP and Heated Humidifier togther. Clinical effective auto-titration technology. The iCH II Auto is an ultra-quiet APAP (automatic CPAP). It will automatically find the correct therapy pressure and fully open up the airway. Universal Power Supply: works with 100 – 240 V and 50 – 60 Hz. Effective Built-In Humidifier System with Anti Back-Flow Design. PVA pressure relief at exhalation makes therapy feel more natural. Other features include Built-In Alarm Clock, Leak Compensation, Auto Altitude Adjust, and one of the smallest footprint. It saves about 50% of space on the night stand than most machines! Pressure Range: 4 - 20 cm H2O. Product includes APAP unit, Travel Bag, CPAP Hose, SD Card, USB cable, Manual, Power Supply. Technical Support: If you purchase from Neuroscience Medical, we have highly experienced technical reps, who would provide you with free help on machine set up and therapy questions by email or over the phone. Other vendors on this listing don't provide this service. We reserve our free technical services to support our customers only. Manufacturer warranty is 2 years. Lowest Price on Walmart.com guaranteed. Instruction on how to adjust therapy pressure comes with machine. Free Lifetime 24/7 Technical Support by email or phone. Genuine Apex Medical Machine. Brand New. FSA/HSA Eligible.